I’ve visited Canada many times but have always missed is Québec City. I’ve only heard great things from everyone who has ever been there. Luckily, my friend Pamela is an expert on the city. She runs walking tours there and even recently published a guidebook to the city. Given that fall is supposed to be one of the most beautiful times to visit, I thought now was a perfect time to have her share her expertise! I fell in love with Québec City the moment I stepped off the overnight train from Halifax. The cobblestone streets, outdoor patios, European architecture, and delicious poutine (and French men!) tugged at my heartstrings. A French colony founded in 1608 by Samuel de Champlain, Québec City was then known as New France. Over the course of its over four hundred years, the city went from being French then British, and then French again, creating a delightful mix of architectural styles. 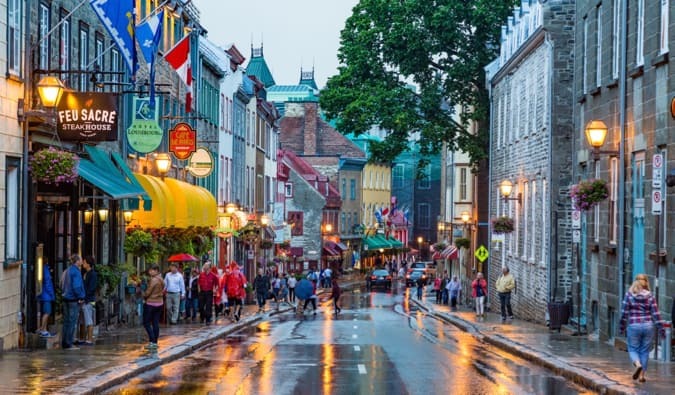 While most are initially drawn to Québec City by its history and European charm, the people, food, and culture are why they inevitably fall in love with the city. The locals are a community very passionate about all things Québec and wants visitors to experience that same passion, regardless of one’s travel budget. I can’t preach the gospel of this city enough. It’s like a big little village and one of my favorite places in the entire country. Though Québec City can be expensive, there are plenty of ways to visit this city on a budget and still enjoy everything this place has to offer! Explore Vieux-Québec (Old Québec): While doing it on your own can be fun, make time to take a walking tour. If you’re on a tight budget, there is a free walking tour with Samuel Dubois, a funny local guide who lives off the tips he receives from travellers. 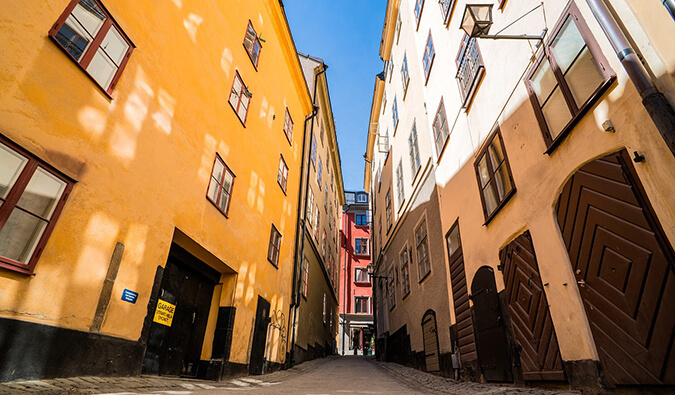 His tour takes you through the Old City and is filled with humorous facts and stories. Samuel is also a craft beer connoisseur, so if you’re looking for recommendations, he is your man! If you have a little money to spend and want a historical walking tour with a costumed guide, Cicerone’s walking tours are highly recommended! Visit La Citadelle & city fortifications: Québec City is one of the oldest fortified city in North America. Spend some time at the Citadelle (which is still operational and home to the Royal 22e Régiment). Admission is $16 CAD and includes entrance to the Citadelle, a museum tour, the changing of the guard (in summer), and the Beating of the Retreat. Dufferin Terrace: The terrace is the oldest boardwalk in the city and runs along the front of Fairmont Château Frontenac. In summer, you can relax on the boardwalk, watch street performers, and buy chocolate-dipped ice cream cones from Au 1884. In winter, toboggan down the slope of the Dufferin Slide, one of the first tourists attractions in the city. Climb to the top of Terrasse Pierre-Dugua-de-Mons: Capture a postcard-perfect shot of Château Frontenac and the Saint Lawrence River. There is a wooden staircase after the gazebo on Dufferin Terrace. 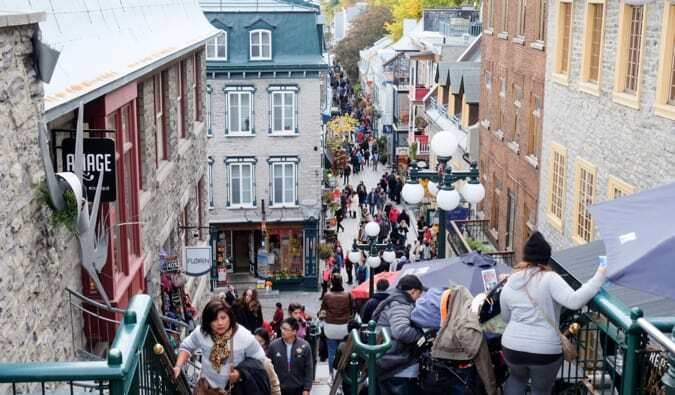 Ride the funiculaire: From Dufferin Terrace, take the funicular (inclined railway) down the cap (promontory) to Petit-Champlain (one of the oldest shopping streets) and Place Royale (site of the first colony). Rides are $3 CAD one-way. Tip: If you hate hills like I do, walk down the steep hill (Côte de la Montague) and take the funicular back up to the top of the cap. Musée de la Civilization: Québec has many museums, but this is probably the best one for learning about the history of Québec. Regular admission is $16 CAD but if you are 18-30 years of age, it is only $10 (not including special exhibits). Cathedral of the Holy Trinity: This cathedral was the first Anglican church built outside Britain, and it houses a silver communion set given by King George III. Be sure to take the guided tour for $6 CAD; it is offered by one of the best English historians in Québec City. The Morrin Centre & Maison de la Littérature: Located across the street from each other, both of these buildings turned libraries are some of the funkiest attractions in town. The Morrin Centre started as an army barracks, then changed to a jail (where many public hangings occurred), then a college, and now a beautiful Victorian (English) library. La Maison de la Littérature is a French library housed in a converted church (which was once English). Both libraries are FREE. Take a bus to Montmorency Falls: Skip the tours and take public transportation to Chute Montmorency (Montmorency Falls). While they are not as wide as Niagara Falls, they are 30m taller and are stunning, especially in fall when the surrounding leaves change color. From Place d’Youville, take bus #800 to the falls. A round-trip will cost $7 CAD. Walk the stairs of Sous-le-Cap: Walk along rue Saint-Paul in Vieux-Port. When you get to the Savonnerie you’ll see a very small path between the buildings; follow it to rue Sous-le-Cap, one of the oldest streets in the city. The street is tiny, with layers of wooden stairs that stretch across the alley. This was once a busy shopping street back when the houses had a front-row view of the Saint-Lawrence River. Amusement Park at Méga Parc: This is Québec’s version of Mall of America. Méga Parc has 19 attractions/rides, including a skating rink, an arcade with 60 or so games, mini-golf, and a rock-climbing wall. Unlimited access is $30 CAD per person. To get here, take buses #801 and #803. The Plains of Abraham: Head into the neighborhood of Montcalm and walk around the Plains of Abraham, the site of the famous battle of 1759, which lasted 15 minutes and resulted in the British gaining control of the city. Today the Plains of Abraham is a large park with running and walking tracks, Martello Towers (small defensive forts built during the 19th century), busts of historic figures, gardens, and pretty views of the Saint Lawrence River. Relax at Place des Canotiers: A new public space beside the Saint Lawrence River, this urban square has places to sit and relax, as well as fountains and mist you can walk through. A go-to spot on hot summer days, this is also where the cruise ships and tall ships dock. Leave the tourists behind: In the middle of summer, when the Old City is bursting at the seams with tourists, you’ll find me in along rue Saint-Joseph Est in Saint-Roch, rue Saint-Jean in Saint-Jean-Baptiste, and 3e (Troisième) Avenue in Limoilou, where I can enjoy the quiet, local side of life. Prices are generally a little cheaper in these areas, and there are plenty of fabulous restaurants, microbreweries, cafés, and boutiques to keep me happy. Chez Ashton (Vieux-Québec, Saint-Roch, or Montcalm): Delicious gluttony made of fries, squeaky cheese curds and piping hot gravy. Almost every restaurant sells poutine, but the best traditional poutine in the city starts with Chez Ashton. A Québec institution, it serves up poutine in large, round foil containers. In winter the price of poutine fluctuates depending on the weather. For example, if it is -25°C (-13°F) outside, then your poutine at Chez Ashton is 25% off! Le Bureau de Poste: This little gem has a yummy $4.95 CAD (!) menu, $6.50 CAD cocktails, and $5.50 CAD pints! Go forth and have fun, and be sure to enjoy the patio in summer. Fromagerie des Grondines et ses amis: Embrace your inner cheese addict and go here for gourmet grilled cheese sandwiches. 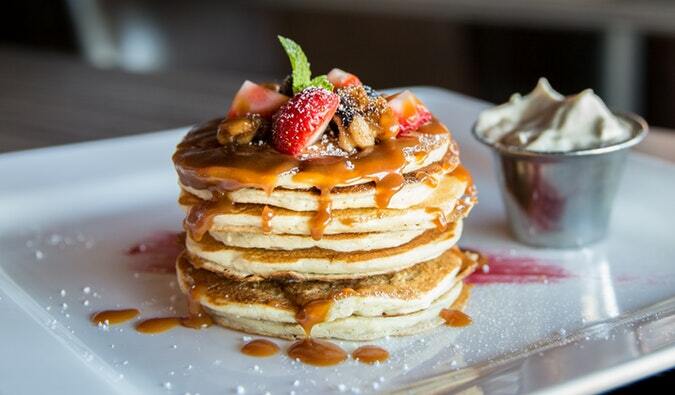 So good and not too expensive. Sandwiches start at $7.50 CAD. Marché d’Emma: Located across the street from the hostel, this small épicerie has a nice selection of Québec craft beers, wine, frozen pizzas ($5), gourmet foods, and non-perishables. They also have fresh baguettes most days. L’Inter Marché: Located on rue Saint-Jean in Saint-Jean-Baptiste, this small grocery store has a small selection of produce, meats, dairy, non-perishables, frozen foods, and breads. Prices are often better than at the épiceries. The food scene in Québec City is ever-growing, and we now have a few options for vegans and vegetarians as well. As in other major cities, almost every neighborhood now also has shawarma or kebab. There is also a sushi craze happening right now. Tip: Avoid the Chinese food in the Old City — it is not that good. Bar St-Angèle: A night of cheap beer, live music, and quirky locals. It is a must before venturing into the more “civilised” pubs and bars in the city. Maurice Nightclub: While Bistro Plus (1063, Rue Saint-Jean) can be fun, the best nightclub in the city is Maurice on Grande Allée. 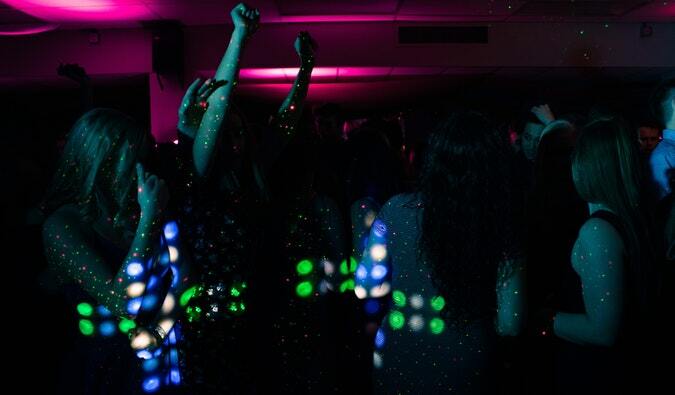 Dance, drink, sweat, and then go eat poutine or shawarma before heading back to the hostel. Le Drague Cabaret Club: A gay bar/nightclub with drag shows and karaoke. Pub Nelligan’s: A lively Irish pub popular with locals. Rustic ambiance, live Irish shows from time to time, and a mix of Québec and Irish beers (and liquor). Le Cercle: A bar and live music venue, Le Cercle is a local favourite. Indie bands sometimes play in a funky room in the basement. Le Projet: An eclectic gastropub, Le Projet has roughly 24 microbrews on tap. Buy food on-site or pick up a poke bowl from Bols et Poké on your way and eat it there. La Barbarie: By far the most popular microbrewery in the city. Beer is brewed on-site, there is plenty of seating, and while they don’t have a license to serve food, you can have a pizza, Chinese food, or whatever else you’re craving delivered to the bar. Auberge Internationale de Québec is the best hostel in the city. With a superb location in Vieux-Québec (Old Québec), this hostel is large with a bar, common rooms, and communal kitchen. In high season beds range from $27 CAD to $30.50 CAD per night. In low season, beds range from $22 CAD to $30.50 CAD per night. If you want to experience the local vibe of the city, I suggest mixing things up a little: stay a few nights at a hostel to explore the historic areas, then Couchsurf or rent a room on Airbnb (if you’re new to Airbnb, use this link for $40 off your stay) in another neighbourhood to get a true feel for what everyday life is like in Québec City. Take a FREE walking tour of the Old City. Eat poutine (under $10 CAD) at Chez Ashton, one of the cheapest places in the city. Buy food at a neighbourhood grocery store. Eat croissants for breakfast, they are only $2.50 CAD! Paillard on rue Saint-Jean (to the right at the bottom of rue Sainte-Ursule) are the best. Buy a bus pass. A 1-day bus pass costs $8.50 CAD, the equivalent of 2.5 rides. A day pass gives you unlimited travel for 24-hours. Go to Méga Parc, an indoor amusement park and shopping mall, after 5pm and get in for half price ($15 CAD). Walk along the city fortifications and atop the city gates. Its FREE! Visit the churches and libraries as they are FREE and quite beautiful. Visit Bar Sainte-Angèle for cheap beer! Couchsurf for most of your visit and save money on accommodation (plus meet amazing and friendly locals). Québec City is a walking city. It is very easy to explore the main neighbourhoods (Vieux-Québec, Petit-Champlain, Place-Royale, Vieux-Port, Grande Allée, Montcalm, and Saint-Jean-Baptiste) by foot. The outer neighbourhoods of Saint-Roch, Saint-Sauveur, and Limoilou can be reached by bus. Download the RTC (Réseau de Transport de la Capitale) Nomade mobile app to check routes while you’re out exploring. The app gives you information on schedules, as well as the closest stop to your location and when the next bus will arrive. 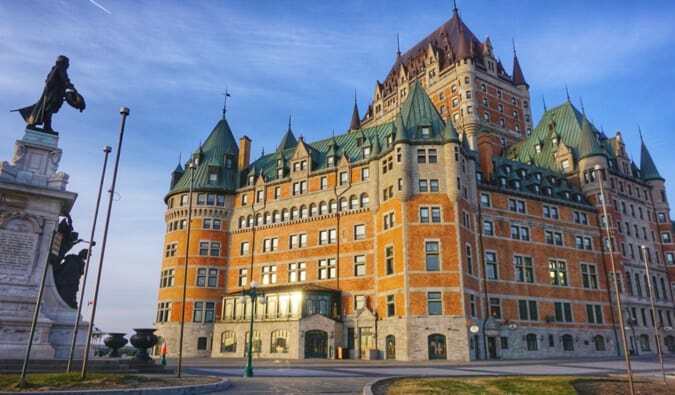 Come explore this lovely city, sit on a patio, eat poutine, and drink with the locals, and marvel at the beauty of Château Frontenac as it looms over the lower city. Sit at the top of Terrasse Pierre-Dugua-de-Mons to watch the sunset and snap a picture-perfect shot of the château, Old City, and Saint Lawrence River. 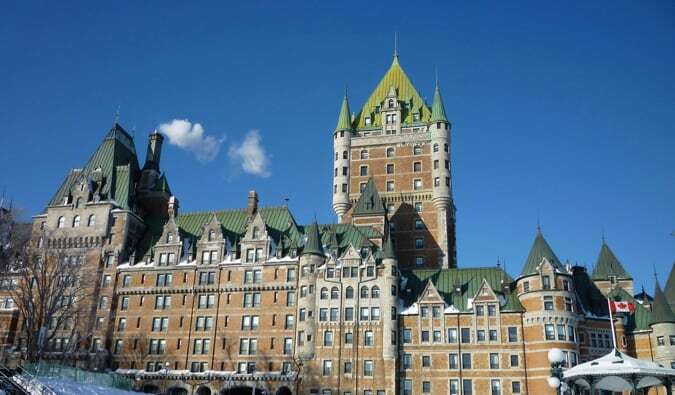 I came to Québec City because I love the architecture, the culture, and the history. I stayed because of the food, people, and the big-village vibe. Québec City has a charm and magic about it that is infectious. It is a Northern paradise of food, culture, and architecture – and I hope you come and visit soon! Pamela is a Canadian travel writer and blogger who left her job in 2010 to travel the world. While Southeast Asia and Scotland rank among her favourite destinations, she fell head-over-heels for Québec City and now calls it home. While travel is still a big part of her life, Pamela runs Urban Guide Québec City and has recently published a guidebook on the city that focuses on local artisans, producers, and businesses. If you’re going to the city, it’s a must buy! It sounds amazing! I’ve never really considered going to Quebec City but it sounds like there is a lot to do and especially like there are a lot of nice places to eat. I will think about paying it a visit one day if I ever make it to Canada, thanks for sharing! Such a helpful post — I’m headed to Quebec City in a few weeks, and this is the best post I’ve read so far. 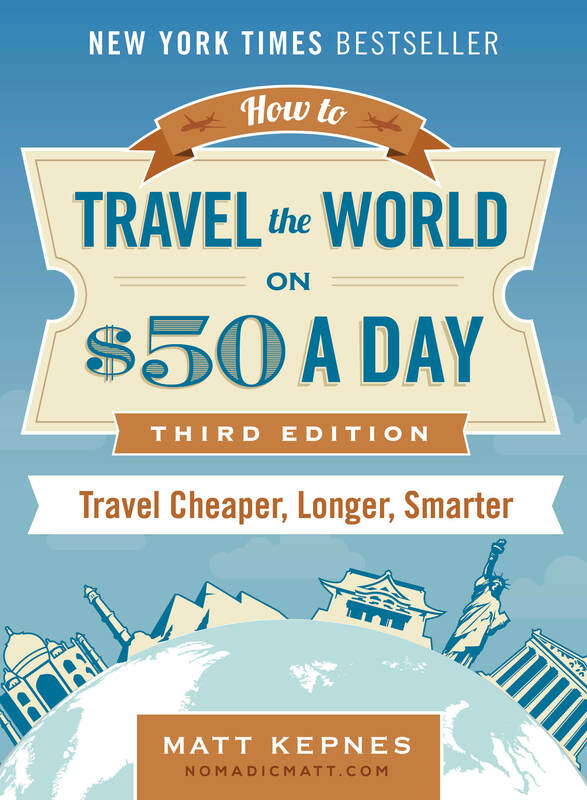 It gives great detailed tips, and I sure appreciate the nod to saving some money. Not everyone who travels is rich! Can’t wait to experience Quebec City for myself. It’s been on my bucket list ever since I studied French in high school — and that was a very long time ago! 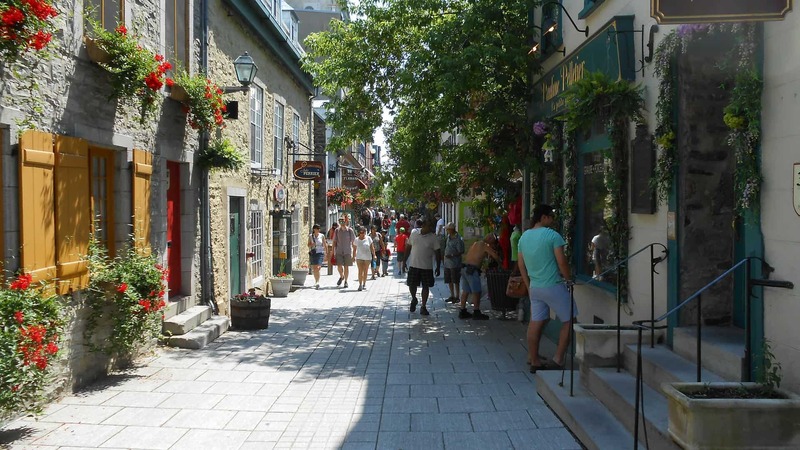 Quebec City is one of the destinations in Canada that I really want to visit – it’s so European and charming! I think these budget tips are excellent, especially the food and accommodation recommendations. I knew absolutely nothing about Quebec City prior to this article, and it looks amazing. I have been looking for somewhere closer to home for a short trip next year, and this might have just made the decision! I am googling more images as I type! Thanks! I cannot stress enough Matt how going local creates an enhanced, and less expensive, experience. Best of both worlds. You save money and gain an authentic experience. Meaning you get to live more like a local and less like a tourist hurrying through, often times it seems, being poked at with cattle prods by touts and tour guides LOL. Sure I visit highly traveled spots sometimes. But the visits are in minutes or hours, whereas I spend months off of the beaten tourist path in sweet, local digs wherever me and my wife visit. No brainer experience if you want to travel on a budget and live more like the locals do. Québec City is incredible! Great write up, Matt. The people are also very warm and welcoming so that is another great part about the city. If you guys have a chance, I just got back from a road trip in the Gaspésie region and I highly recommend going. It’s the perfect time to go in low season and the fall colors are coming into bloom in the next few weeks! We had the most fantastic time. Staid in a little hotel right outside the walls and close to the port. Fantastic restaurants. Agreed its well worth the visit particularly if you’re going to be in Montreal. Somewhere I’ve always wanted to go – and I totally agree that no city break is truly complete without exploring some of the suburbs. You discover so much that way. Thanks for writing about this wonderful city! We went there for Winter Carnival last year and had a BLAST!! We walked everywhere, even though it was really cold. Temperature can be around -20 F, though so be prepared to walk around town in your snow suit! I live in Québec city since I was born and I couldn’t agree more with you. For your information, the Méga-parc is actually in a major renovation since mid-september for at least a year, so you’ll have some activities available. They called it “méga-parc Éphémère”. And, if you have access to a car, there is so much outside activities you can do all year around! Great post! Great guide and hopefully I’ll be able to use it. Thank you for your write-up and its so informative. Would you have anything similar for Toronto , Montreal , Kingston etc that would be worth looking for our 2 weeks tour. Hey! Just an update (I live in Quebec) and Maurice and le Cercle are closed. For a club vibe you can always go to Dagobert (biggest and one of the only nightclubs left) situated right in front of were Maurice was. And instead of le Cercle you can try District on the same street. It has great food and live music except for friday and saturday after midnight when they have a DJ.